Proudly built in the USA, Americh bath tubs feature the innovation and quality that professionals expect, but have for so long remained unavailable to most. Americh tubs are custom-built to your specifications, giving you the freedom to create the bath you've always dreamed of. 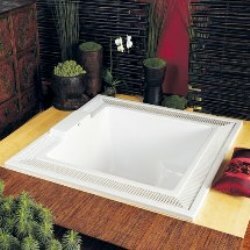 Americh is proud to present one of the largest collections of bathtubs and shower bases in the industry. Your bath is not simply another room in the house, it is a refuge from the the everyday, a place of rejuvenation and relaxation. Let Americh help you create your personalized escape from the ordinary.